UMATILLA COUNTY, Oregon – The La Grande man accused of recording videos of women in the restrooms at the Pilot Travel Center in La Grande appeared in Sixth Circuit Court this week. 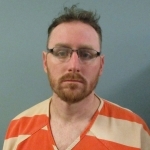 Umatilla County Chief Deputy District Attorney Jaclyn Jenkins says Jared Hansen entered guilty pleas to two counts of first-degree invasion of privacy involving two victims. He received five years’ probation on the first case. In the second case, Jenkins says he was sentenced to five years’ probation on the second count as well. That sentence came with a provision that if Hansen violates his probation agreement, he could serve 14 months in prison. His sentences were handed down by Sixth Circuit Court Judge Christopher Brauer in Courtroom 1 of the Umatilla County courthouse in Pendleton. One of the victims, a Washington state teenager, gave a statement to the presiding judge. In an exclusive interview with Elkhorn Media Group, she had words of caution for others. “I am 14 years old, and the youngest of six siblings. I have four brothers, and a sister. All of my siblings live in different parts of Eastern Oregon, so we are always driving to visit them. I have always loved our road trips, usually it’s just my mom and I, and we listen to music, stop for coffee and talk about everything that is going on in life. My mom is one of my closest friends, which is something that I have always been proud of. My friends have even told me that they wish they could be as open with their moms, as I am with mine. The last trip we took was special because it was my brother, stepdad and my dog that all went with us. After dropping off my brother and heading home, we stopped at our normal stops for bathroom breaks and snacks. We went into the store, and my Mom was so happy because one of her favorite old songs was playing inside the store. “We walked into the bathroom together, and one of the middle stalls was taken. I went into the one next to it and my mom went in the one on the other side of me. After I was done using the toilet, I turned around and saw the top half of a phone pointing up at me from the bottom of the stall that the stall was occupied when we went in. My first thought was of what I should do, who was in that stall and what their reaction would be to my reaction. Did this person have a gun, would they shoot and kill me and my mom? I decided to quietly shove the phone away. I could see the top half of the screen on the phone and the time that had lapsed on the recording before I pushed it back under. I got out of the stall as quickly as I could and acted as normal as I could while I waited for my mom by the sink. My hope was that if I pretended to act normal, they wouldn’t come out of the stall. I washed my hands, and my mom came out of her stall. As soon as she saw me, she knew something was wrong. I had started shaking really bad. I told her that the person in that stall, and pointed to it, had recorded me. I have never seen my mom so upset. She had started yelling at the person in the stall. Mom pushed me out of the bathroom and told me to go get my stepdad. I was so scared, and it was so loud in the store.